Material on this site is the copyrighted property of GreatEyeglasses.com. The information and images presented here may not under any circumstances be reproduced or used without prior written permission. Users may view and download material from this site only for personal, non-commercial home use. To reproduce, republish, upload, post, transmit, distribute or publicly display material from this website you will need written permission from GreatEyeglasses.com. Users agree not to use the site for sale, trade or other commercial purposes. Users may not use language that is threatening, abusive, vulgar, discourteous or criminal. Users also may not post or transmit information or materials that would violate rights of any third party or which contains a virus or other harmful component. GreatEyeglasses.com reserves the right to remove or edit any messages or material submitted by users. 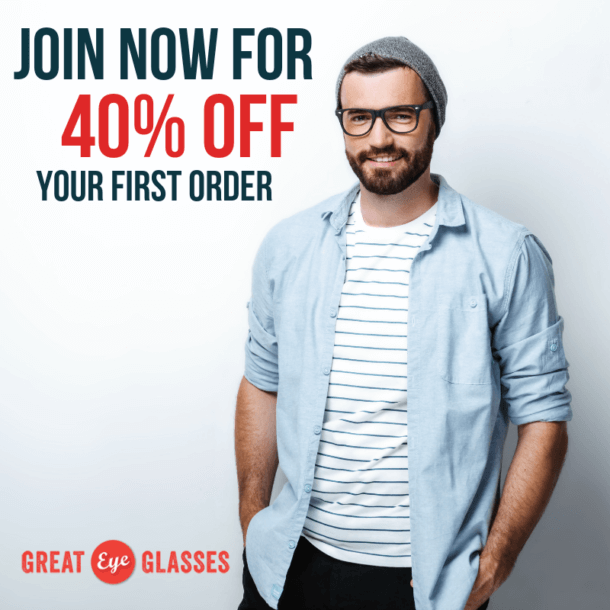 GreatEyeglasses.com is not responsible for material submitted to GreatEyeglasses.com or posted in chat rooms or on bulletin boards by site users. By communicating with GreatEyeglasses.com, users grant GreatEyeglasses.com permission to use any information, suggestions, ideas, drawings or concepts communicated for any purpose GreatEyeglasses.com chooses, commercial, public or otherwise, without compensation whatsoever. Under no circumstances, including but not limited to negligence, will GreatEyeglasses.com be liable for special or consequential damages that result from the use or inability to use the materials in this site. In no event shall GreatEyeglasses.com’s liability to a user for any loss, damage or claim exceed the amount paid by the user for accessing this site. This agreement is effective until terminated by either party. You may terminate this agreement at any time by discontinuing your use of the GreatEyeglasses.com’s site and destroying all materials obtained from it.